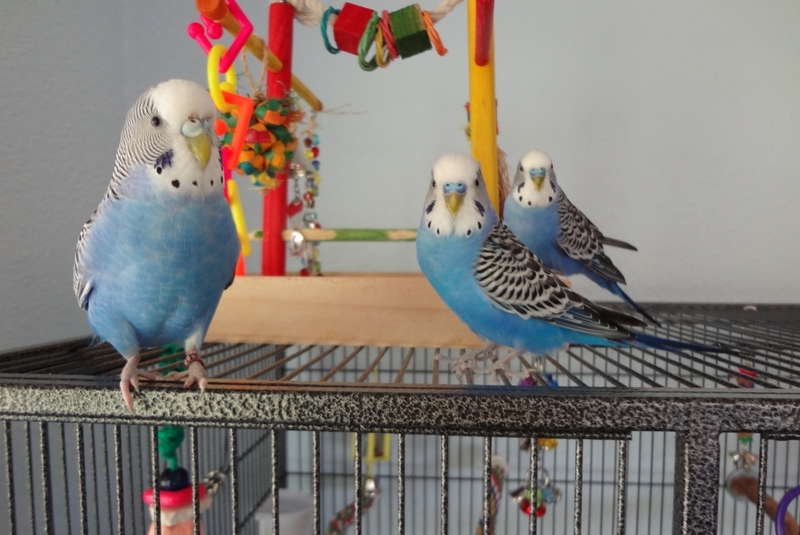 Posted on April 28, 2014 by Michelle M.
Three of our flock look a lot alike. Can you tell them apart? 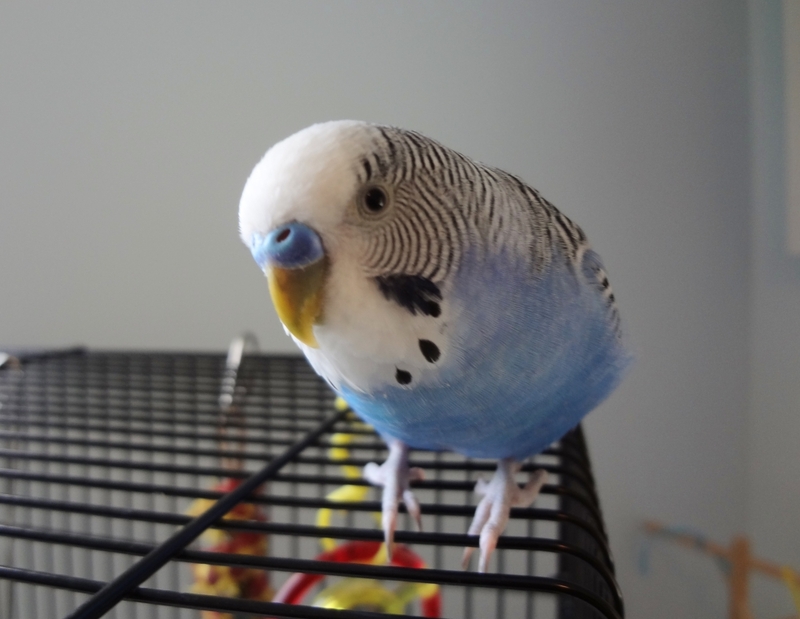 1. Cooper, Gordie or Ozzie? 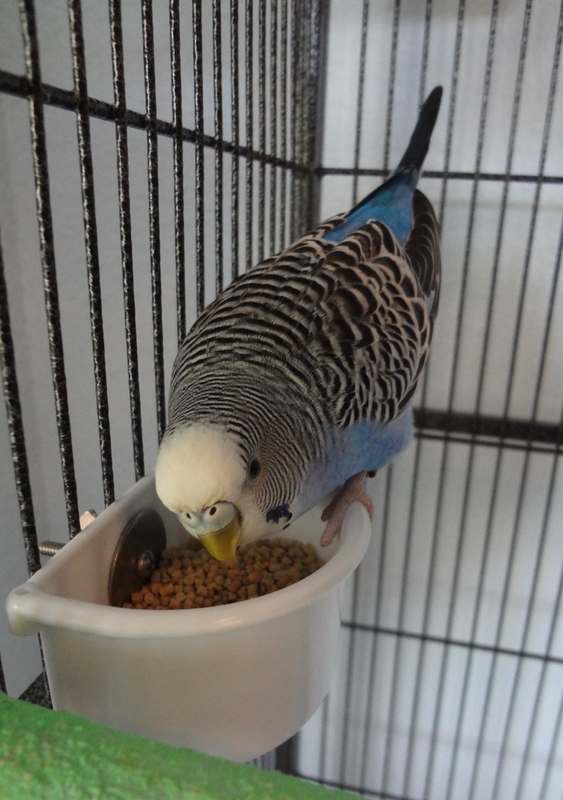 2. Cooper, Gordie or Ozzie? 3. Cooper, Gordie or Ozzie? 4. Cooper, Gordie or Ozzie? 5. Cooper, Gordie or Ozzie? 6. Cooper, Gordie or Ozzie? 7. Cooper, Gordie or Ozzie? 8. Cooper, Gordie or Ozzie? 9. Cooper, Gordie or Ozzie? 10. Cooper, Gordie or Ozzie? 11. Cooper, Gordie or Ozzie? 12. Cooper, Gordie or Ozzie? 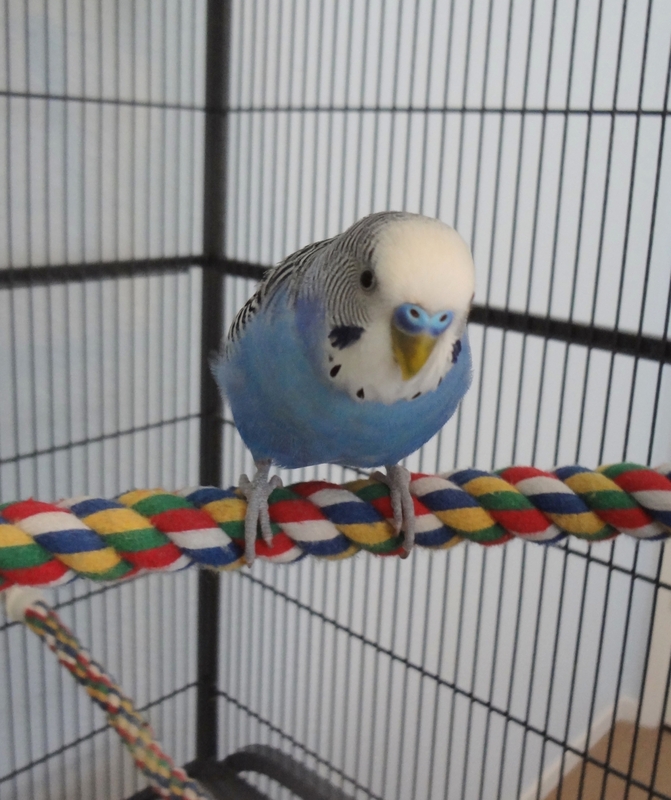 Cooper has a light blue cere and is our only budgie with a band on her leg. Gordie has larger throat spots than Ozzie. 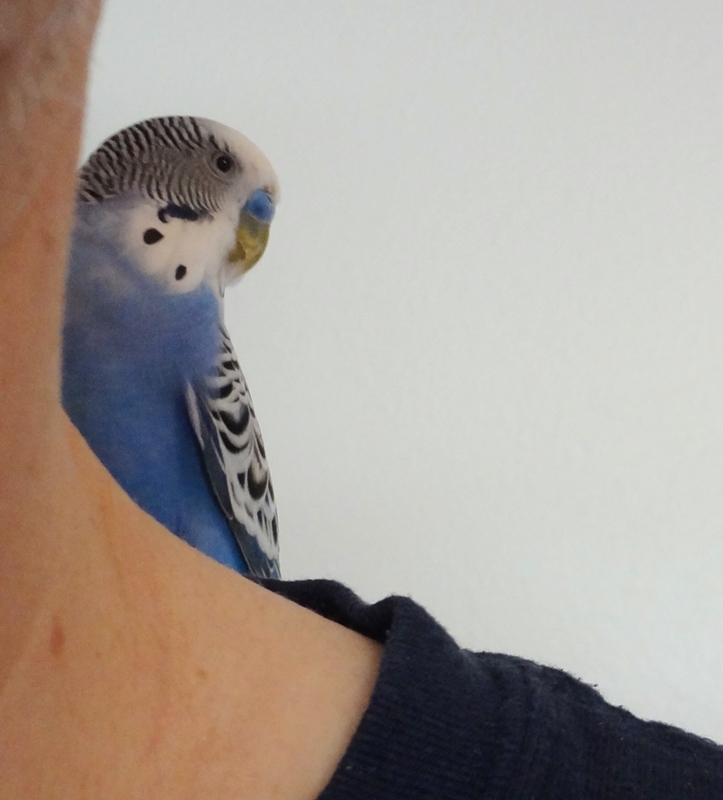 And not that you can see, but Ozzie has a little white patch on the back of his head. 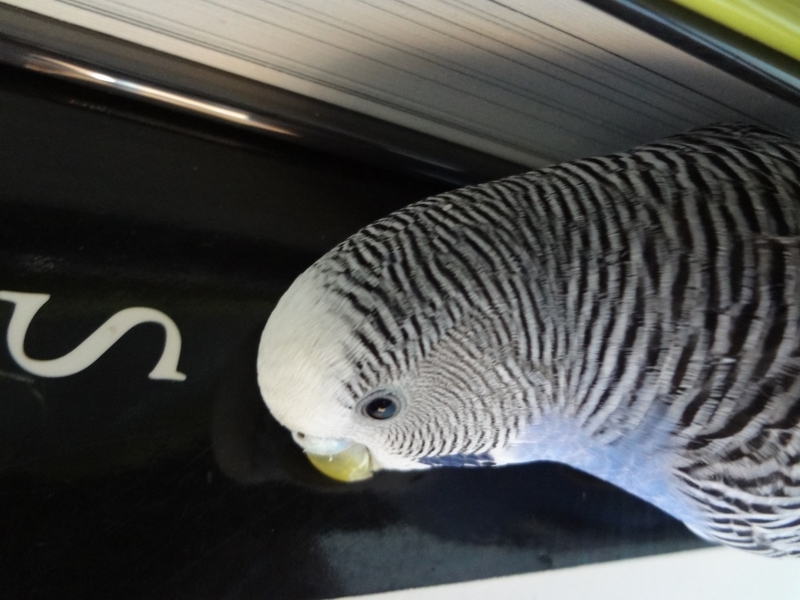 This entry was posted in Cooper, Dewey, Games, Ozzie and tagged budgie, Cooper, Dewey, games, Ozzie, parakeet by Michelle M.. Bookmark the permalink. They all look exactly the same to me except 9 and 12 because of the lighter nose bit. So I’m saying that’s Gordie and the rest…. No clue. Since you have a million things going on right now, Cooper will let it slide that you thought she was Gordie ; ). Not bad! You can definitely tell which one is Cooper : ). Perfect! Cooper says you get a gold star! I think three 10 and 11 are Ozzie, but I’m so confused. Well, the three you chose were right on : ). 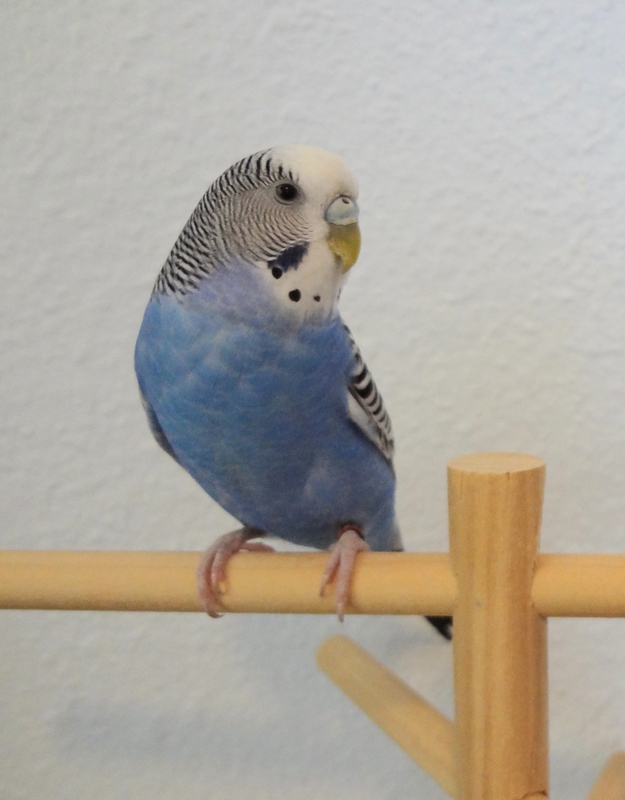 I think Cooper is easiest because her cere is light blue. gordie and ozzie are a little harder. 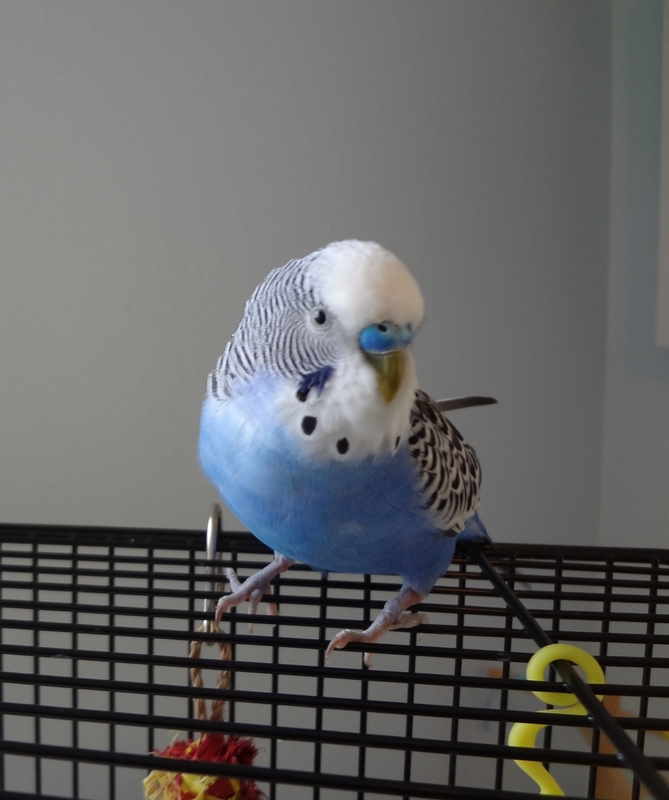 I think Gordies has a more pronounced white ring around his iris,but it’s hard to pick out in some of the photos. So close! It helps if you know who had the larger throat spots. Gordie and Ozzie are hard to tell apart in photos! In person, it’s a lot easier. 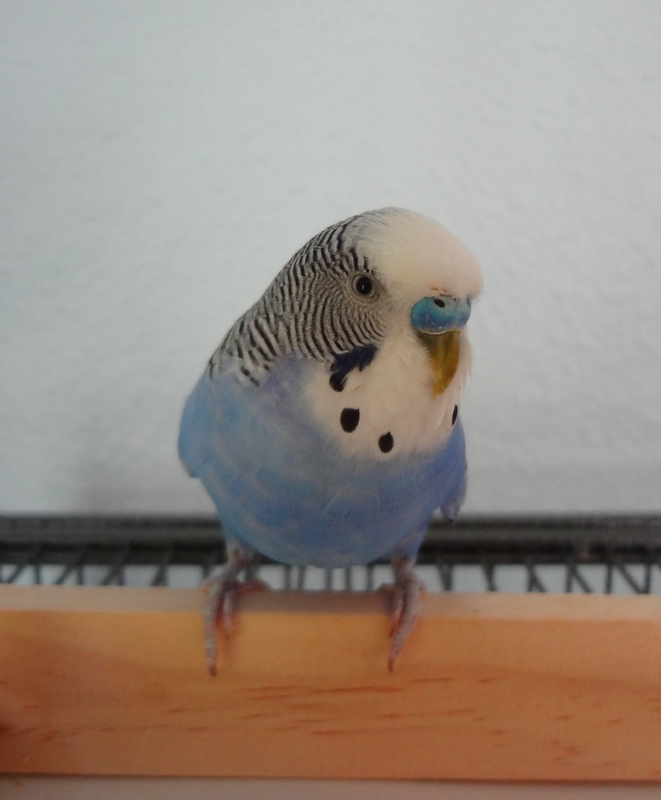 First, Cooper has a light blue cere, so she’s 4, 5, 9 and 12. 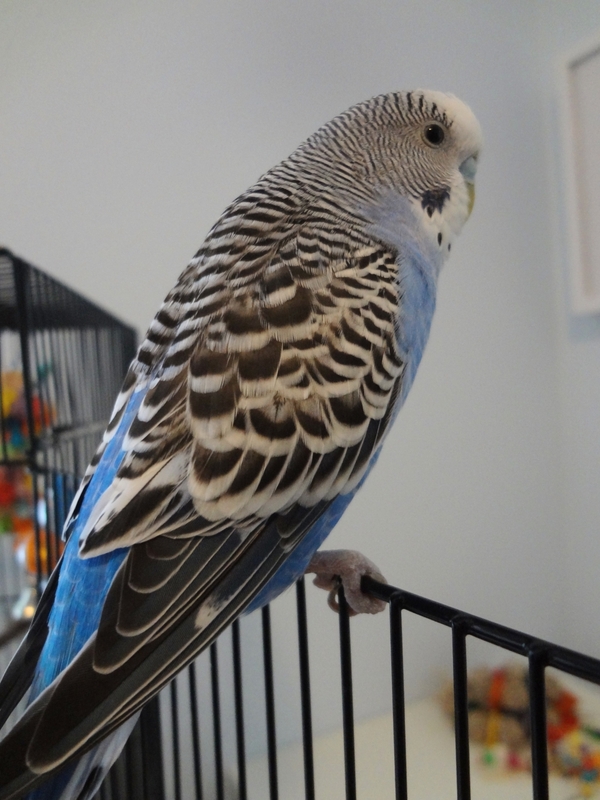 Gordie is still missing some flight feathers, loves to hang out on shoulders, has two misaligned feathers on his right cheek (left as seen in the photos) and somewhat of a “wild man” look, so he’s 2, 8, 10 and 11. 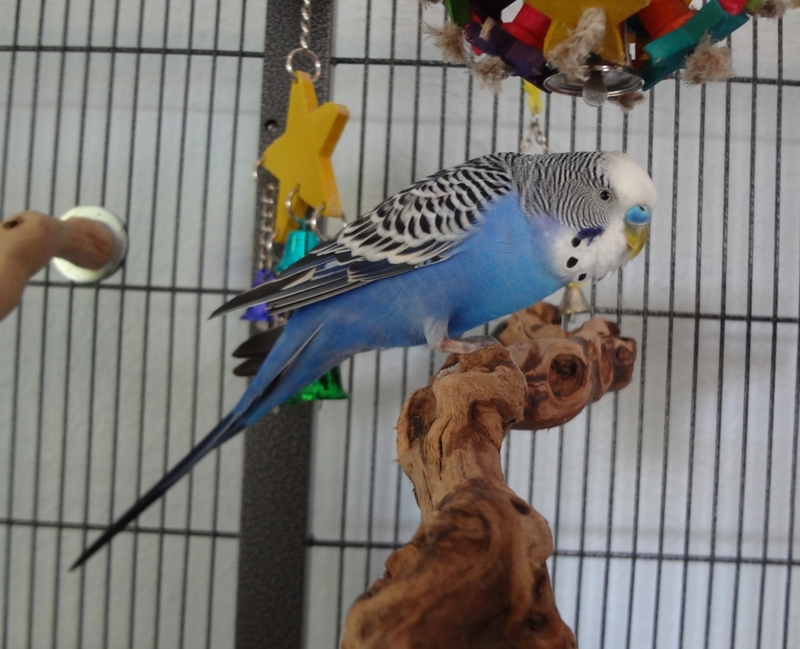 Since Michelle likes to keep things even, Ozzie has somewhat of a darker cere, all his flight feathers and is missing that “wild man” look, his are photos 1, 3, 6 and 7. You were – good job! 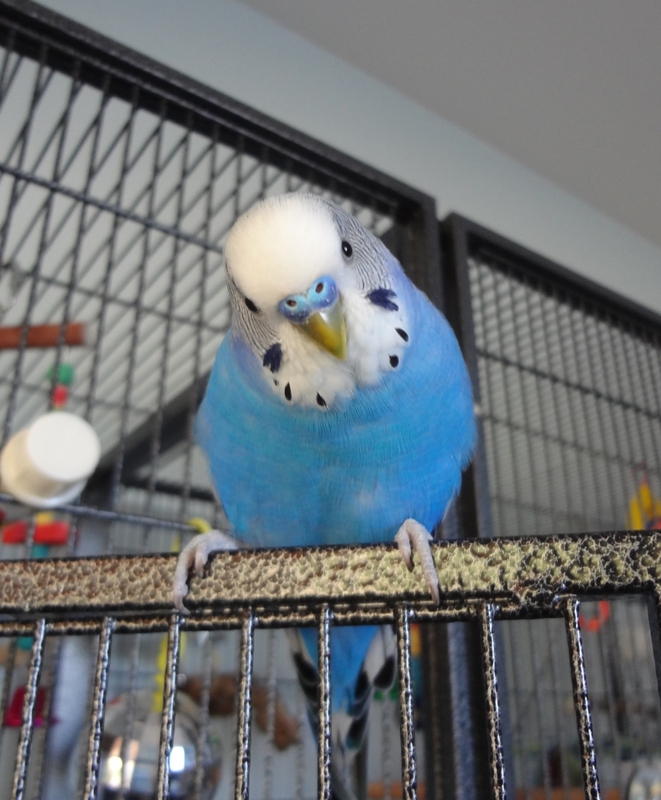 I noticed that the two boys had different size throat spots, but first I thought it was Ozzie with the bigger ones. 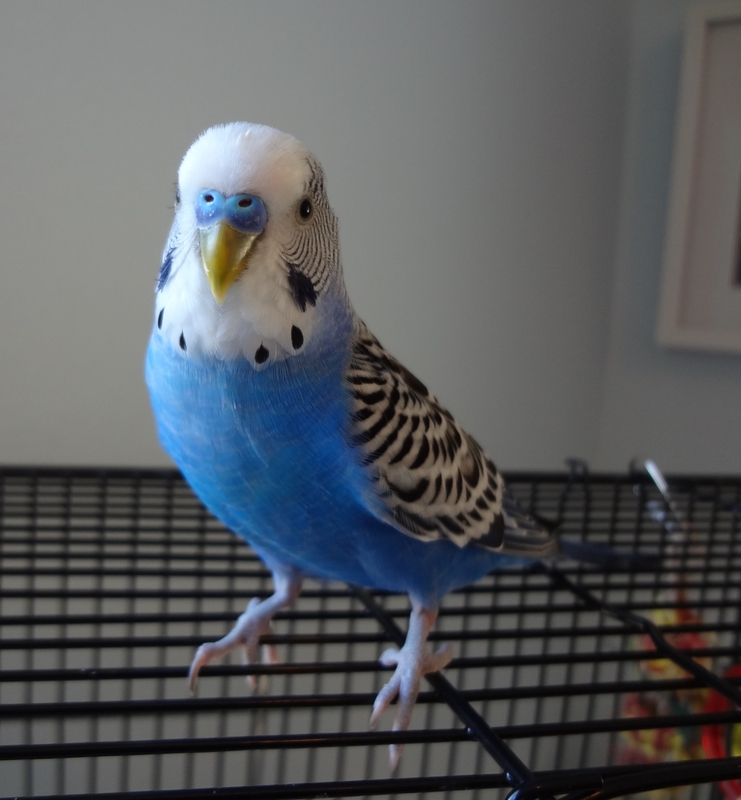 But then I saw the picture of the budgie showing clipped wings and I thought it must be Gordie because he’s new. Anyway then I realized it must be Gordie with bigger cheek spots.